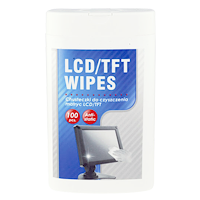 Screen LCD/TFT matrix cleaning tissue - 100 pcs wet cleaning tissues are intended to take care of LCD and TFT monitors, laptops and palmtops. Dust-free dry cloths - 24 pcs dust-free, dry cloths are designed for cleaning computer and office equipment. 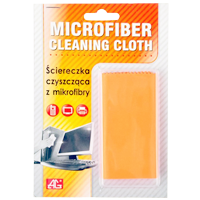 Microfiber cleaning cloth is perfect for cleaning laptops, screens, keyboards, computer casings, printers, copying machines, scaners, phones, telefaxing machines as well as other such devices. Cleans firmly without leaving stains and smudges. 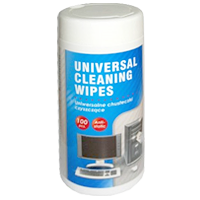 Universal cleaning wipes - 100 pcs Wet cleaning wipes are intended for use on office equipment, helping to maintain efficient operation and good appearance of monitors, keyboards, computer casings, laptops, printers, copy machines, scanners, telephones, fax machines, typewriters etc. 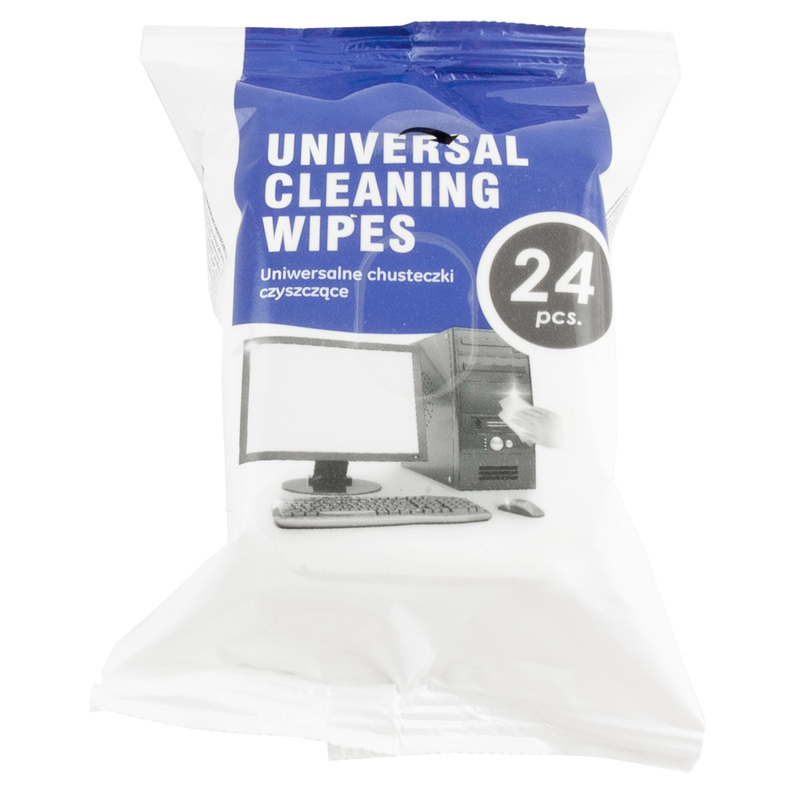 Universal cleaning wipes - 24 pcs Wet cleaning wipes are intended for use on office equipment, helping to maintain efficient operation and good appearance of monitors, keyboards, computer casings, laptops, printers, copy machines, scanners, telephones, fax machines, typewriters etc.